The Robots are getting better! They are getting faster and more agile, this will lead to new applications and use cases. On the 'agile' front new videos are out from Boston Dynamics showing their current Atlas robot doing Parkour! Can it get more bizarre? Yes it can! 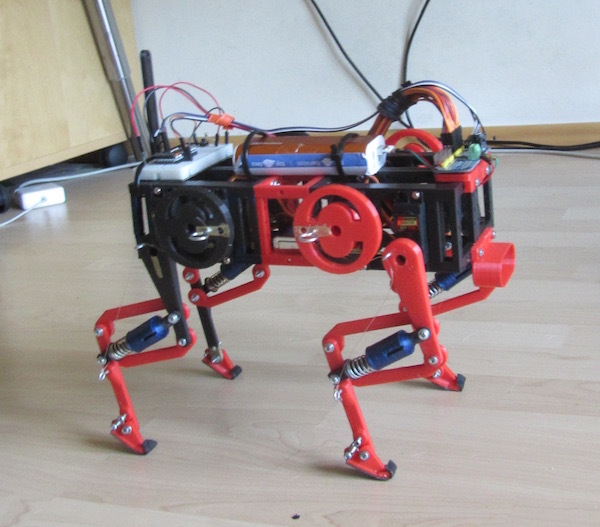 Meet Salto a small jumping robot from UC Berkeley's Biomimetic Millisystems Lab. Salto is a mono-ped, just one leg. It has inertial stabilization with a swing arm as well as small "quadcopter" motor/blades for pitch and yaw control. Last year we were amazed to see Salto jumping and exploring. This year, they have had dramatic improvements to the controller enabling more precise hopping to obtain an objective like climbing on a table. The exploring robots are coming. They are sprinting, hopping, and learning. Another good example of the enhancements in SLAM (remember: Simultaneous localization and mapping?) is the MicroMouse challenge. In this challenge small robotic "mice" are programmed to autonomously search a maze to find the "cheese". After the exploration phase, the mouse returns to home and runs the maze for speed. Here is an example of the ability to localize, map, and solve - then make a speed run! These advancements are increabley in couraging. Access to open technologies, microcontrollers, low cost sensors and actuators, etc, are creating a new revolution in robotics. This will create more abilities, new use cases, and new applications. Remote Exploration is a great new use case. We have been sending probes and robots into space for some time, with new interest and ability in robotics we will be able to explore much further and in much more detail. A great example of this is the recent MASCOT and Hayabusa2 exploration of the Ryugu asteroid. This is fantastic robotic exploration work by JAXA and DLR the Japanese and German space agencies. 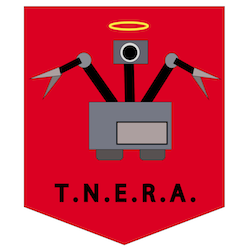 There is a whole new domain emerging for robots ... and the Totally Not Evil Robot Army, is getting ready for it! Mojo2 (#16) - First Tests Walking Backwards!